I will pretty much try to shorten this post, even though I have a nasty habit of writing 1000+ words in my posts, this post is actually a 1500+ post. Don’t get scared, you will enjoy reading it because, you will learn how to make money from affiliate marketing as a newbie. For anyone who is a blogger or a steady internet user, the word affiliate marketing has gone from beyond just being a word a few persons understand, to a phenomenon that continues to exist in the galaxy of the internet no matter what. Affiliate marketing is simply referred to as the link that exists between a product and a buyer, whereby the middle man gets a percentage cut or commissions, for referring the sales that took place. Still confused?. Well, let’s say Sony has wonderful products for sale, but cannot reach that wide market they need, in this case, they try to expand their market through a special advertising. Then while surfing the internet, you somehow found yourself on their website, you notice they have products for sale but require someone or some people to help them reach other markets with a promise to pay commission once successful sale(s) are carried out through you. You sign up, begin marketing, make your sales and receive your pay. There are two sides of the coin to affiliate programs; you either refer clients to purchase someone’s products or you set up your own program, make your sales and recruit affiliate marketers to help you sell. From Clickbank (which unfortunately is choosy in the aspect of countries it accepts), to Commission Junction (fortunately a fierce competitor to CLICKBANK and accepts everyone who is heart broken by Clickbank’s policy), ShareASale, Amazon affiliate, eBay, Jumia and others, there exists a wide network of affiliate marketing platforms to choose from. It will interest you to know and I wish to point out the fact that, affiliate marketing isn’t just done from the above platforms. When you visit the websites of big companies, scroll down to the footer of the page and you will see something like ‘be our affiliate, affiliate marketers, earn from our affiliate system and so on’. Before diving into the world of Affiliate marketing, there are some terms we should embrace, for the sake of prevention of ambiguity, we will stick to four. Publisher: a publisher is simply the owner of the product(s) you are promoting. Advertiser: an advertiser is someone who creates the awareness of products and refers prospective clients to buy the products from the publisher. PPC: stands for pay-per-click, which entails that you earn a commission, when someone clicks your affiliate link even if they buy nothing. Nobody takes this branch of affiliate marketing serious anymore, because any platform that offers PPC, is simply traffic hungry, won’t pay much and can sometimes shut down or hold your money for no tangible reason. So if you want to start an online career in affiliate marketing, you may need to turn a blind eye when you see PPC. Though some platforms still pay for PPC, the viable and sustainable platforms that exist in that world are very few. PPA: pay-per-action means for every action or purchase made from your affiliate link, you will get your commission reward. Platforms that promote PPA, pay very well because you are actually converting your traffic into sales, which in turn is a good thing for the publisher of that product you are promoting. Test the efficacy of the product, so you don’t end up selling a life threatening or an over-hyped substandard product. The reviews you get on the internet are very important, in fact get more positive reviews because good reviews mean more money and bad reviews mean bad name and less money. Make sure the publisher has a good communication style by first mailing them and ensure you are satisfied with their response, because someday things could go south with the products you may be promoting and a good customer care activity will save your neck. Visit the product’s sales page; see what it looks like, if it is actually going to solve a problem or if it is just one of those things that usually pop up on the internet. Piece of advice: if a product’s sales page has so many “testimonies’ than usual, then you need to be careful. Here’s why; let’s say you want to promote a system (say affiliate marketing for newbies), that keeps you busy on the internet which in turn rewards you with some substantive amount of dollars and you know very well that affiliate marketing isn’t as easy as chewing biscuits as a fresher, now to actually convince your sales page readers that whatever you are promoting will be the last bus stop to their search for affiliate marketing supreme information, you might want to entice them with “testimonies” or “screenshots of your bank account earnings or your earnings in paypal” of which in most cases are Photoshopped. This is one thing information marketers do that has reduced the integrity of information marketing. Approved payment processors: this is the foremost reason behind the reluctance in joining affiliate marketing. The two most recognized methods of sending payment rewards to affiliate marketers are paypal or cheques (checks in US English). Paypal has a strict policy of not allowing most third world or developing countries to own a full functioning paypal account. Take Nigeria for instance, a Nigerian PayPal account can only send funds without receiving, so what’s the use? When it comes to the “cheques or checks” whichever way you want to spell it, it is another baggage of issues on its own. It could either get lost in transit or damaged, must either have a dollar account or go through some rigorous process of cashing it. No wonder Payoneer noticed this loophole and decided their payment processor should be open to everyone and the good news is this, most affiliate marketing platforms now recommend payoneer as their method of paying affiliates: I am 100% sure of Clickbank and Commission Junction as they recommend non US residents to own a payoneer account. Well there is a payment processor called 2checkout that lets you receive Paypal funds. But it just didn’t work for me. For six months plus, I tried registering, they always came up with an issue or the other with regards to proof of residence since my only office then was my laptop, my scrapbook and maybe a cup of water (I don’t do coffee). You might want to get a payoneer account not just for affiliate marketing but for freelance earning purposes and to have a universally accepted Mastercard with a routing US bank account. Click here to open a Payoneer account. Products to promote: when it comes to selecting products to promote, a lot of newbie hands get burned. Most newbies pick a product because they think it will sell well or because it’s a personal hobby. The main problem with this method of picking products is that you are likely to become emotionally attached to your product and promotion which is very detrimental to your success as an affiliate. I know this sounds weird, but it’s true, and it happens all the time. In affiliate marketing there are two types of markets; short term markets which have to do with things like seasonal niches or trends. They are great for generating some quick income, but sales will most likely die out over time. Long term markets consist of products that have to do with what we refer to as evergreen niches. Evergreen niches are those niches that will always be around no matter what. There will always be new buyers in evergreen niches. Unlike short-term markets, these types of products can generate a lot of income quickly and for a long time. Indirect awareness method: this involves reviewing a product which in turn will lead to good conversion rates. How?. Let’s say you want to promote a diet induced weight loss product from Clickbank and you own a health blog or sub-health niche blog which focuses only on weight loss, you can create a topic like ‘eating yourself to your desired weight’. In the post, you create the awareness of foods that help lose weight and may be foods your blog readers need to avoid when on a losing weight spree. Then you post and attach your affiliate link at the bottom of the post (with this method you don’t even place ad banners on your site that can hamper the loading speed of your site, you won’t chase away readers so much ads) and still maintain your sanity and that of your readers. 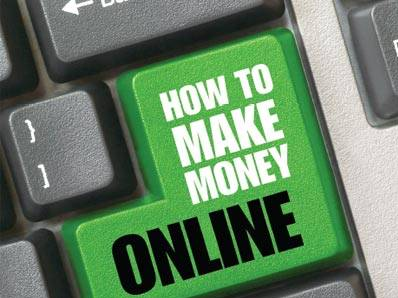 This is the best suggestion for newbies on affiliate marketing. Direct awareness method: this method involves the use of opt in forms, squeeze pages or landing pages to collect the contact information of a demographic that have interests in your products (of course after a cold pitching to their emails or other info given to you) on specific websites that exist for the sole aim of the products in the niche you want to promote. While communicating with your subscribers, you attach your affiliate links to the emails you send them and when they click such links, it takes them to the sales page of the product you are promoting, they buy and you get your commissions. 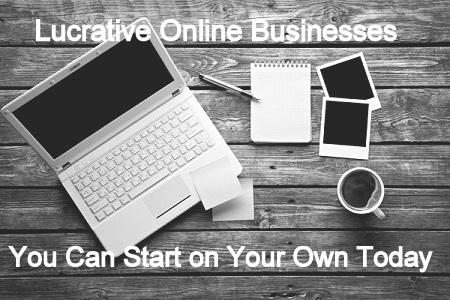 Everyday the internet goes agog with topics like how to make money from affiliate marketing as a newbie. This can cause information overload which can in turn make it a daunting task to achieve, but surely at the end, you will get a hang of it. Do you want to start and make affiliate marketing a full time career?. have you been scanning the internet and want to get rid of all the hassles and fake stuff you have been reading? Find out how here!. 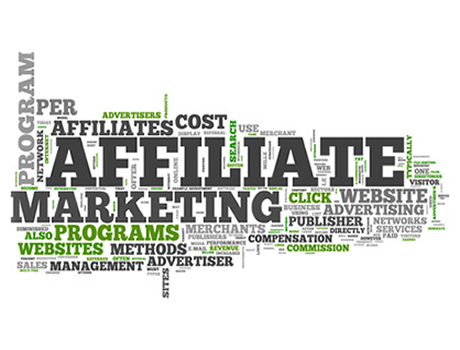 Affiliate marketing program is beneficial for bloggers and others that have products to sell. I am still wondering how to get started recruiting sales men that will help sell my product on my blog. Any help? Well I can say first, if you can create a profile on Amazon Kindle Publishing and sell. Second, you can create affiliate profiles on your blog, find an affiliate tracking software and begin recruitment process. Third, had it been we had leverage of Clickbank, you can actually be a vendor there and make your sales..
Well there is CJ affiliate, ShareAsale and others you can try out..simply create vendor or publisher profiles on these platforms, meet up their requirements and you are good to go. But whatever you do leave Jvzoo… Don’t sell or even refer sells there. This post is giving me a clue on something I need to try out. Sure dear, the only thing we need to do here is to understand it properly because affiliate marketing will not shut down anytime soon, reinvent the wheel and keep it going.. I am glad you found this post useful. I have been pondering this for a while. I am not sure the way i feel about it, having said that i appreciate the input I have found in this article. If I could inbox you, we could sign some contract… What do you think? Thanks Kenny I really enjoyed reading your articles especially coming from a fellow black guy like me. Pls am a newbie and want to submit my self to tutor. Can you help through light on clicksure and clickbank . Thank you for stopping by Joseph, I simply suggest you stick to clickbank, CJ Affiliate and Shareasale…Clicksure has a horrible reputation of selling poor products….and that can ruin your reputation as an affiliate marketer.